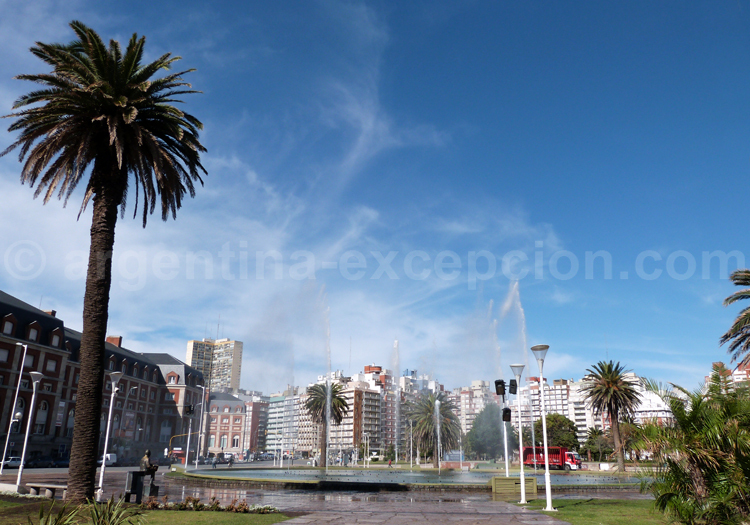 Find all information you need about your trip to Buenos Aires province. The city of Buenos Aires is the capital of Argentina and is officially called Ciudad Autónoma de Buenos Aires (CABA). It stretches to the western bank of the río de la Plata, in the Pampa plains. It counts 2.900.000 inhabitants (15 millions in total in the large agglomeration) and ranks 13th biggest city in the world. Its architecture is very eclectic and mixes modern skyscrapers, pearls of the Art Nouveau and neogothic facades. 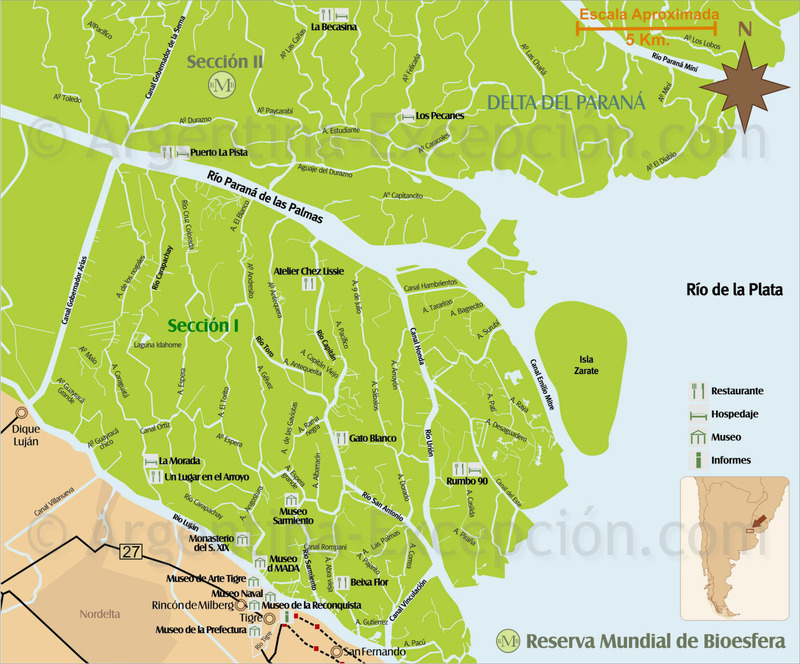 A great fluvial delta of 30 x 30 km (19 x 19 miles) is located in the city of Tigre, fruit of the confluence of the Paraná River and the Rio de la Plata. Just a one hour train ride from the capital, the Tigre Delta will allow you to get in touch with the most exuberant nature. 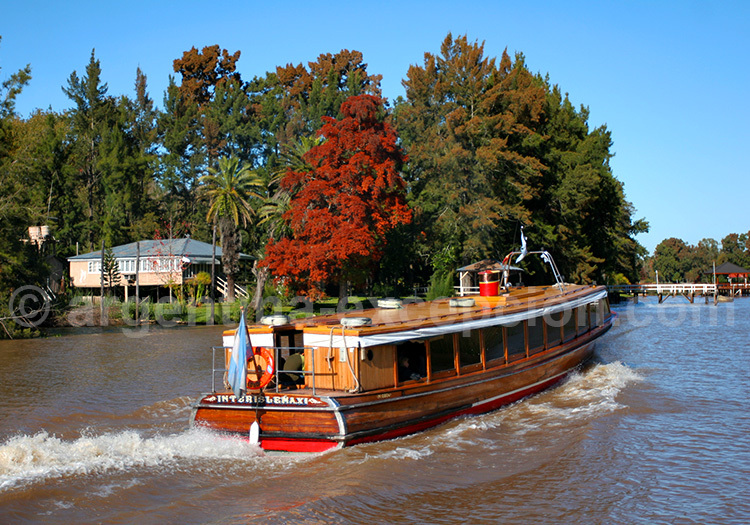 The best way of discovering the city of Tigre (290,000 inhabitants) and its delta is by boat. Diverse canals snake through the islands where many porteños have decided to install their permanent or weekend homes. It is a pleasant experience to escape the rampant rhythm of Buenos Aires, boarding a catamaran or submerging into nature with a canoe or kayak. 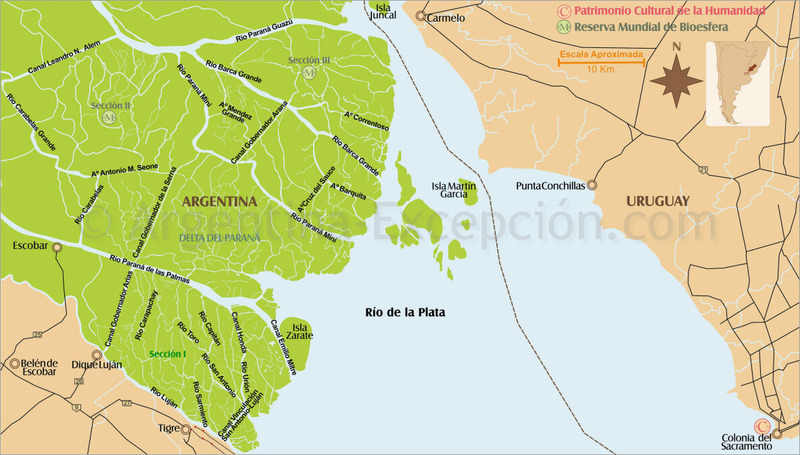 The Rio de la Plata (river of silver) is an immense estuary of the Atlantic coast: 48 km (30 miles) wide and 290 km (180 miles) long, it is formed by the Uruguay and Paraná rivers. 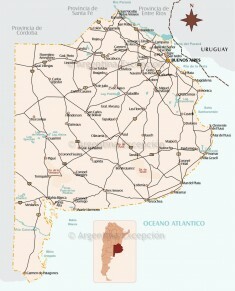 It separates two capital cities and important ports: Montevideo, Uruguay and Buenos Aires, Argentina. This river of silver colored waters is a natural waterway for multiple commercial activities between Buenos Aires and the Uruguayan cities of Montevideo and Colonia. In colonial times, the strategic interest of the delta and its surroundings was a source of conflict between the natives and the Europeans and later between the Spanish and the Portuguese. 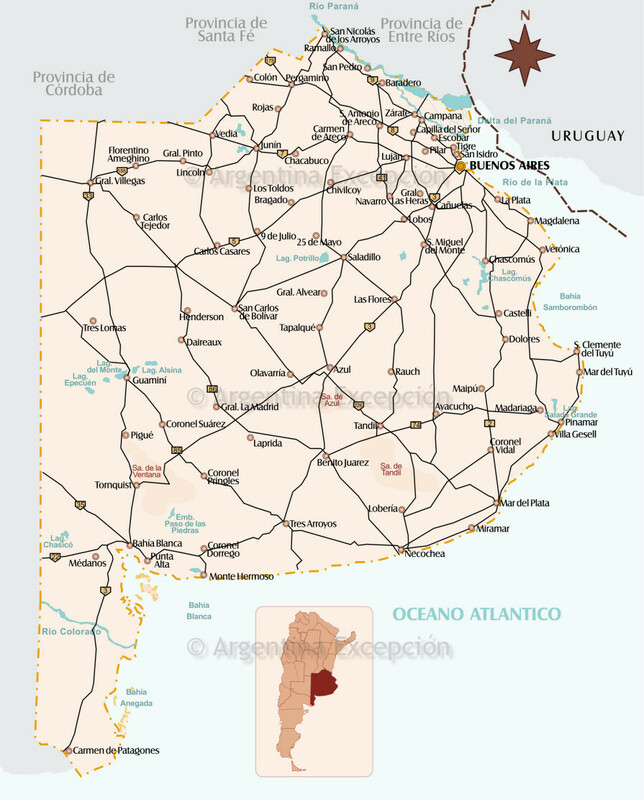 La Plata (574,369 inhabitants) is the capital of the Buenos Aires province. It is located near the Rio de la Plata, from which it took its name when it was founded in 1882. It is one of the few cities thought out and built in a few years, parting from a project of an ideal city: a perfect square, with diagonals uniting parks and plazas every 6 apples; 12 square meters (40 square feet) of green spaces per inhabitant; a monumental axis between Moreno Square, where the founding took place, and Rivadavia Square, which opens up upon the forest, the city’s authentic green lung. La Plata is the city of diagonals and lindens; nevertheless, the essence of its fame comes from its National University, one of the most prestigious in the country. 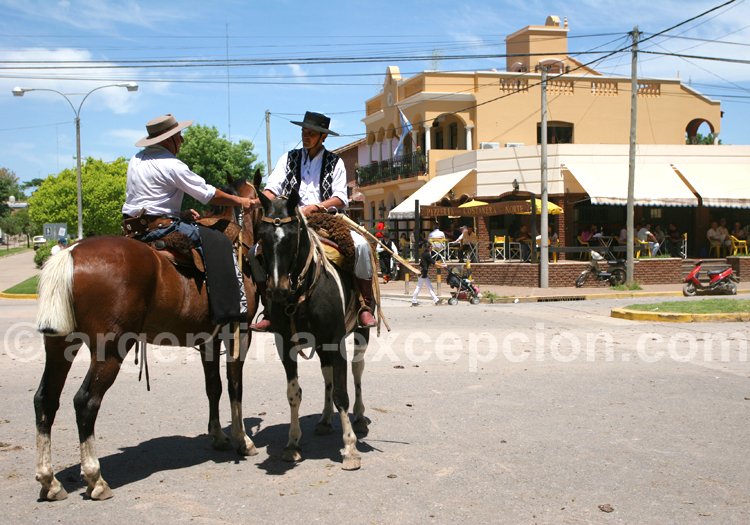 110 km (68 miles) northwest of Buenos Aires, the town of San Antonio de Areco represents the very heart of gaucho traditions of the Argentine Pampas. An ideal place for estancia tourism among horses and cows. On November 10th, Tradition Day, all the country’s gauchos get together here for a great 10-day celebration. Wearing their “bombachas de campo” (light baggy pants) and their silver dredges and knives, the gauchos parade on foot or by horse in a party which summons musicians, poets and dancers for the typical ritual of the Argentine asado. This honoring of the gaucho originates in the legendary Estancia La Porteña, of Ricardo Guiraldes, creator of gaucho poetry. The estancia is open to the public. Pilar is one of the oldest cities of the Buenos Aires region and its origin dates back to 1580. 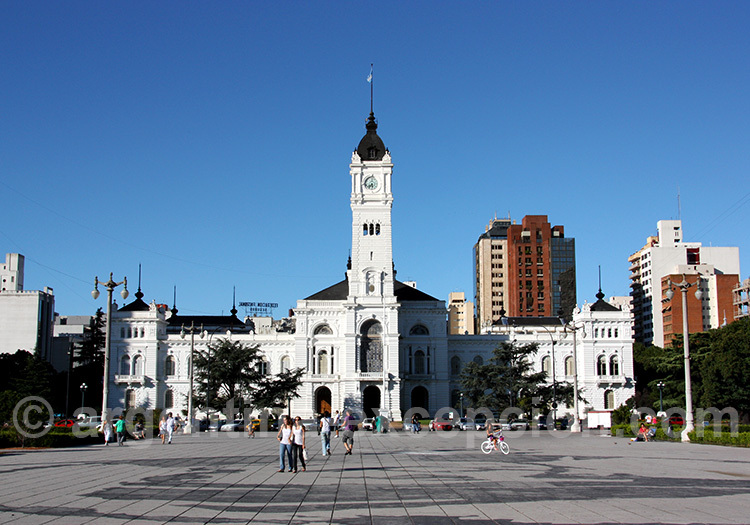 In this city the Pilar Treaty was signed in 1820, giving birth to Argentine Federalism. Nevertheless, today, Pilar is above everything the national capital of polo, an equestrian sport in which Argentines stand out globally. 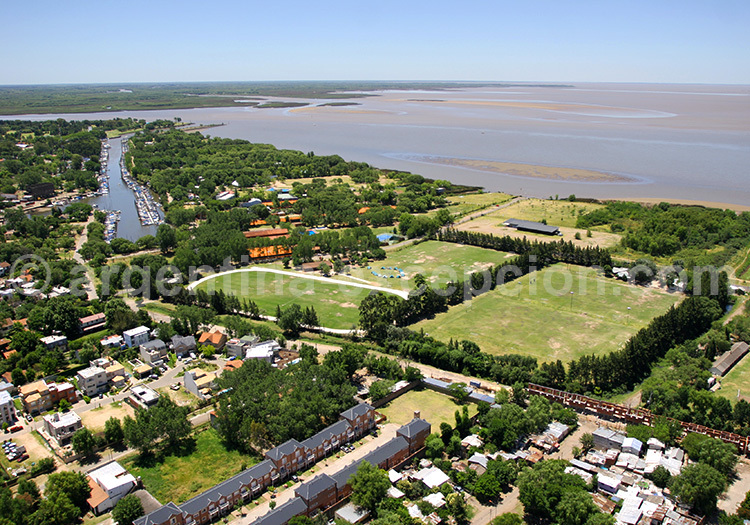 It has 200 polo fields, 14 of the best players of the world and the Argentine Polo Association. Where can you discover this sport? 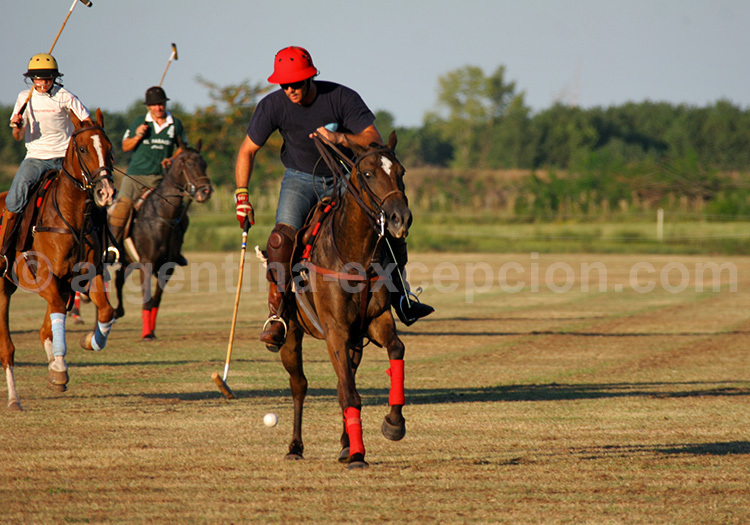 There are no doubts: in Pilar or at the Palermo Polo Field, in Buenos Aires. Founded in the dawn of the colony, Lujan, located west of Buenos Aires, is the main pilgrimage site of Argentina. Its basilica was founded nearing the end of the XIX century by a French priest, Jorge Salvaire, and built by the also French architect Ulderico Courtois. 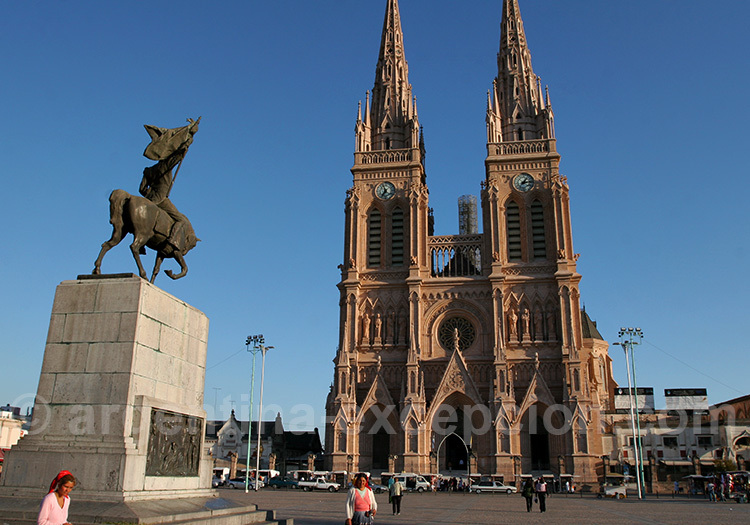 This church of neo-gothic style is over 100 meters (330 feet) high and is dedicated to the Virgin of Lujan, the Holy Mother of Argentina, which’s commemoration date is on December 8th. Every year, in October, great masses walk the 65 km (40 miles) which separate Buenos Aires and Lujan. 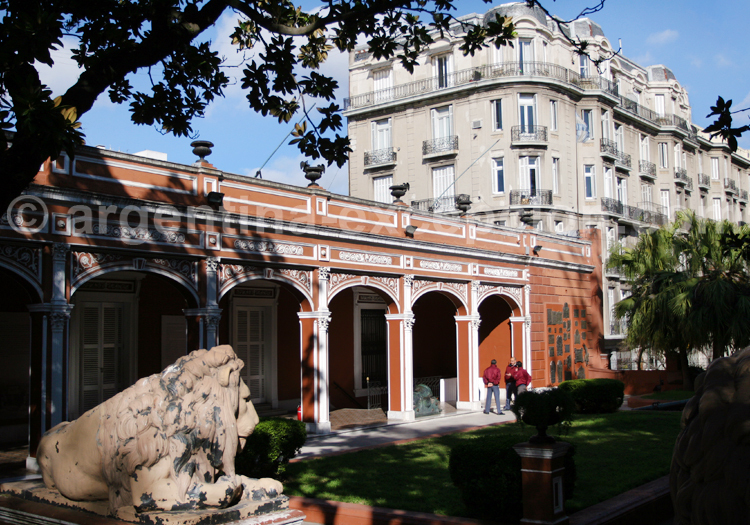 The city is very pleasant and has an interesting colonial museum and a zoo, 4 km (2.5 miles) away. 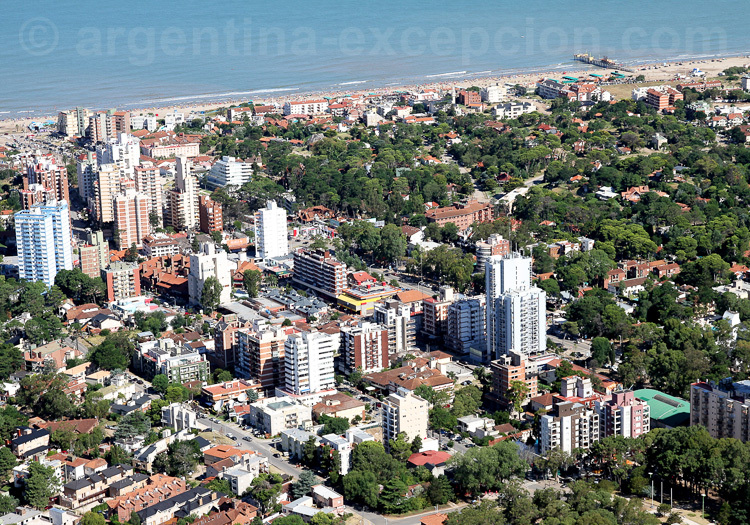 Much smaller than Mar del Plata, Pinamar (20,000 inhabitants) has become an elegant family vacation hot spot. 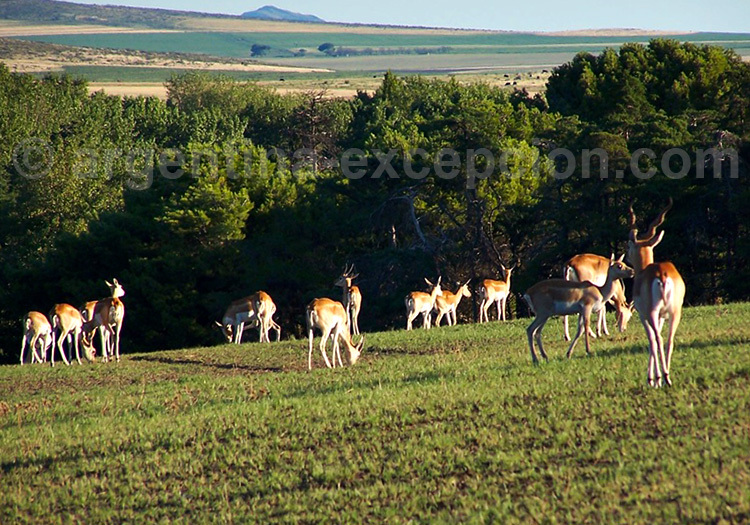 Its sand dunes allow diverse activities such as quad, horseback riding or walking. The dunes give the city its particular physiognomy, and to keep them in, numerous pines and acacias were planted, embellishing the area. Close to Pinamar there are several other beach towns, such as Villa Gesell, which stands out with its dunes as the second vacation city of the Argentine Atlantic coast, after Mar del Plata. Mar del Plata is the beach tourism capital of Argentina (540,000 inhabitants). Every summer it receives hundreds of thousands beach loving vacationers. In the past, the “pearl of the Atlantic” was a place reserved for the elite. Today, it has lost this characteristic due to inadequate and rampant real estate exploitation, although the city still conserves some of its more impressive constructions like the Casino. On summer weekends, porteños take refuge in its beaches, attempting to escape the oppressive summer heat of the capital. To find a bit more tranquility, it is possible to escape to Mar Chiquita, about 30 km (18.6 miles) north. Mar del Plata is also an important fishing port and home of a prestigious international independent film festival. 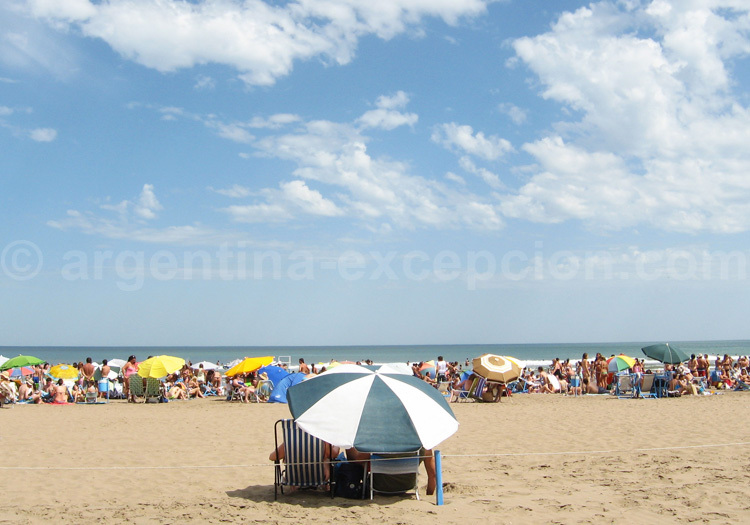 Under hibernation in winter, Necochea (65,500 inhabitants) activates in summer with the arrival of tourists, eager to enjoy the longest beaches of the country (more than 70 km – 43 miles!). The rocky coast lined by the ocean is particularly attractive, even for whales, which occasionally swim in its waters. Necochea is also an important fishing port. Tandil (108,000 inhabitants), 160 km (100 miles) northwest of Mar del Plata, is an important cheese, sausage and meat production center. A geological curiosity especially attracts visitors: the Moving Stone, an enormous cone shaped rock, in precarious equilibrium on the edge of a cliff. History tells this rock finally fell in 1912, and the rock we see today is a replica installed in May 2007 and inaugurated by the president of Argentina. 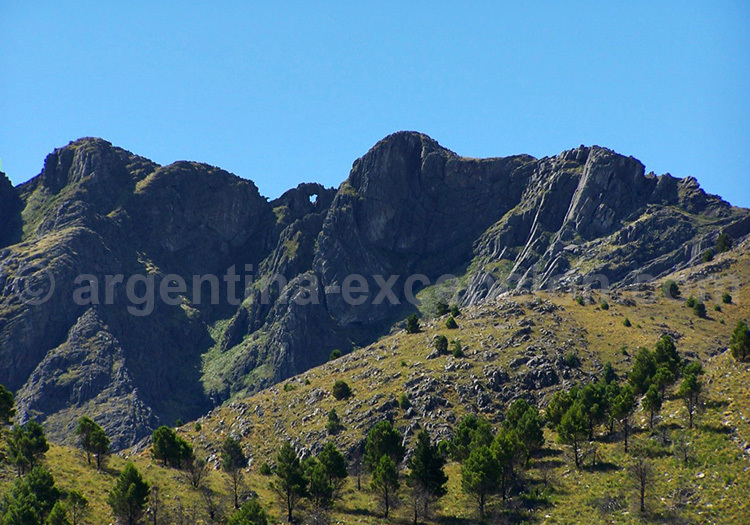 With its 2.5 million years of age, the Tandil Mountains allow hikes among natural circuits, as well as climbing. Sierra de la Ventana is an oasis of freshness and ecotourism, ideal in summer, located 120 km (75 miles) from Bahia Blanca. It offers numerous natural activities: walks among natural circuits, horseback riding, climbing, fishing, etc. The ascension to Mt. Tres Picos, 1239 meters (4065 feet), will take us all day. In Ernesto Tornquist Park, we will walk to Devil’s Throat and Mt. Ventana (1136 meters – 3727 feet), which offers a beautiful view of the hills and pampas.